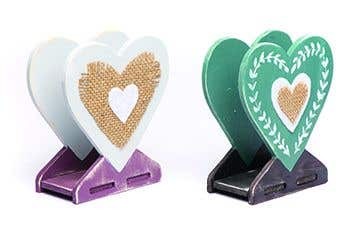 Bring your own style to the wedding table with these heart-shaped holders for menus or guest lists. A small container with flowers could also be placed in the middle section. Mix up some colours for painting the heart. Place the 2 heart sections and the base onto some scrap paper. 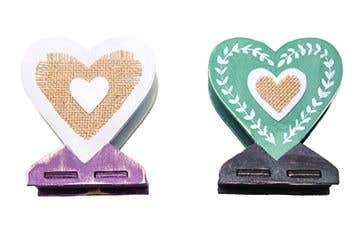 Paint the 2 wooden hearts including around the edges, when the paint has started to dry, fill in the lower area under the hearts using a contrasting colour and paint the middle section. Leave to dry, turn the pieces over and repeat to paint on the other side. Leave to dry. When the paint has fully dried, rub around the edges with sandpaper to create a worn effect. Rub the sandpaper harder to expose more of the wood underneath. To decorate the hearts, paint a pattern or some lettering onto one side of both sections. Leave to dry. Cut out hessian and felt hearts, the sizes will vary depending on your design. 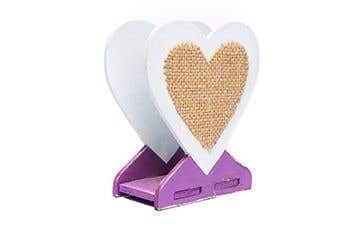 To cut a symmetrical heart, fold a hessian or felt square in half, cut a half heart shape, open out then glue onto the wooden heart background. Push all 3 wooden sections together to make a 3D shape for the holder. 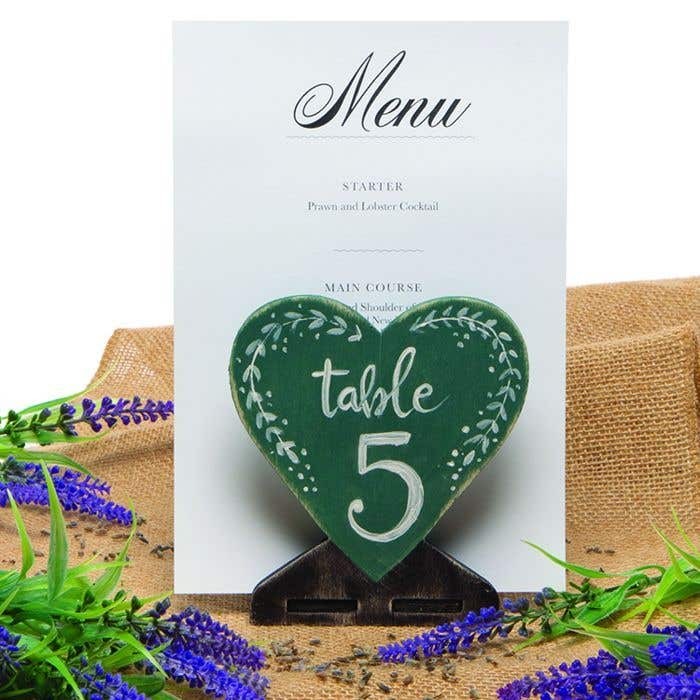 Before you start, to help position hand-painted lettering, draw around the wooden heart onto paper, then draw the letters or numbers in the middle using a pencil. Scribble on the reverse side of the paper with a soft pencil. Draw over the tracing to transfer the lettering onto the heart once it’s been painted and dried. Carefully paint over the pencil guidelines with a thin brush.